Please be advised or ( advisory Note ), Arrival time into the car park should be at least 2 hours prior to your flight boarding time, Universal trading Alicante S.l. will hold no responsibility for loss of flights or refusal of boarding from airline companies due to late arrival, If clients arrive at the Parking with less than a minimum 2 hours before flight companies requested boarding time. Every effort is made by means of trained staff, well maintained vehicles and equipment and security fences to make the car park secure and to collect and deliver customers safely to and from Alicante Airport. However, parts of the Car Parks are open to the public and, whilst staff have instructions to remove anyone not authorised to be on the premises, the Company has 24 hour security however it cannot guarantee the security of your Vehicle nor your belongings nor your personal safety. The company willl accept liability in respect of any loss or theft of or damage to the exterior of your Vehicle if it is proved to be caused by their negligence, wilful act or default or breach of statutory duty and only if the loss or damage is reported before you and your Vehicle leave the premises. The company will accept liability for defects to a customer's vehicle, if it is proved to be caused by their negligence. The Company does not accept liability for damage to vehicles or other property arising from acts of nature as the Car Parks' open-air surface operations. Nor will the company accept responsibility for damaged windscreens or other glass, unless it is proved to be caused by their negligence. The Company does not accept liability for any items inside the car, it is the customers responsibility to leave the car empty. Any valuable goods left in the car are done so at the customers own risk. The Company does not accept liability if loss or damage to the car or its contents is found to be due to valuables being left in the car. The company does not accept responsibility for any mechanical or electrical failure to vehicles whilst in its custody. Nor will the company accept responsibility for damaged or punctured tyres, unless it is proved to be caused by their negligence. The company Cannot be held responsible if you lose your return instructions/ numbered receipt and this is presented to the Company by a third party who uses it to fraudulently take delivery of your car. Claims cannot be considered once Vehicles have left the premises so please check your car before leaving. Should your vehicle suffer damage whilst in the Company's care or should you lose the Vehicle or any of your possessions from the Vehicle whilst it is in the Car Park you must immediately inform the Manager of the occurrence and where appropriate a Report Form will be completed and dealt with by our Customer Services Manager. In cases of theft you must immediately inform the Police and notify your insurers promptly. In the unlikely event that damage is caused to your Vehicle through negligence on the part of the Company, then the Company serves the right to undertake repairs to your Vehicle on your behalf in a manner which restores it to the condition in which it arrived at the Car Park and in that event no claim by you can be made. Unless requested by the Company or one of its employees or agents not to do so, please ensure before leaving the Car Park that all the windows of your Vehicle are securely closed, that in the case of convertible cars, your hood is up and secure, with all lights and electrical equipment switched off. As far as contents are concerned, wherever possible take your possessions with you when you leave your Vehicle. You are reminded that your motor insurance policy may not cover possessions in your Vehicle. for their loss. Take your luggage to the bus on which you travel to or from the airport. It is your responsibility to ensure that the driver loads and unloads all of your luggage. The company cannot therefore be liable for lost luggage nor for another customer identifying your luggage as their own. You are advised to allow for sufficient journey time to arrive at the Car Park at least 20 minutes prior to the check-in time given to you by your airline, travel operator or travel agent. In standard road conditions it takes less than 5 minutes to get to the terminals but we cannot be held liable for any loss you might suffer should bad traffic cause you to miss your flight. Whilst a map and directions to the Car Park are usually provided by way of assistance to you, the Company cannot in any circumstances be held liable for any loss you might suffer should you get lost and miss your flight. Please drive carefully in the Car Park at not more than 5 mph and obey any directional signs. Should you damage another customer's vehicle you are requested to report the matter immediately to a Manager and give him/her the registration numbers of both Vehicles. In instances where a customer causes damage to Vehicles or property in the Car Park he may become liable for the damage or loss which results. Remember that your car may one day be damaged so please do as you would be done by. Please conduct yourself in a reasonable manner. The staff have instructions to remove persons misbehaving themselves or where there is a risk someone may represent a danger to otherpeople or to property. identification, the Company reserves the right not to release the Vehicle. In any event the Company reserves the right to ask to see other acceptable identification before releasing your Vehicle. Non-arrivals and cancellations within TWENTY-FOUR HOURS of the planned arrival date will be charged in full, unless otherwise agreed. You must ensure that, before leaving the Vehicle with the Company that it is in a roadworthy condition, (including tyres which meet the standards required by law), taxed and holds a current MOT if applicable. The Company reserves the right to refuse to accept a car into their care which fails to meet these conditions as this could Lead to it becoming liable under the Road Traffic Acts. You should point out to the Company any special driving attachments or car features such as disabled driver Controls, key codes, immobilisers, special starting instructions etc as we will not beliable for damage resulting from driver's lack of familiarity with them. The Company reserves the right to move your Vehicle within the Car Park by driving or otherwise to such extent as the Company, its employees or agents may in their discretion think necessary for the efficient arrangement of its parking facilities at the Car Park, or in emergencies or to avoid accidents or obstructions. Ignition keys to your Vehicle must therefore be handed to a member of staff. To the extent that it may be necessary to do so in the exercise of the rights conferred upon the Company under this condition the Company, its employees or agents shall have the right to drive or otherwise take the Vehicle on the public highway. The drivers are fully insured by the Company for this purpose. To book parking with us, we will need to collect information about you to deal with your booking as smoothly as possible. This information may include such details as your name, your telephone number and your email address. We do not disclose your information to third parties. 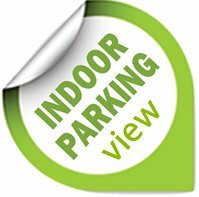 Universal Trading may use the information provided by you to contact you about your booking or information regarding the carpark.